Behold: the Jindallae 3. 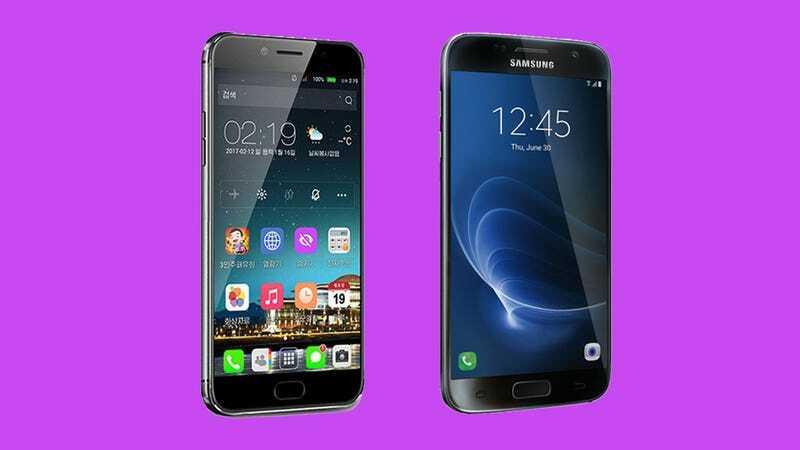 Designed and manufactured locally by North Korea’s Mangyongdae Information Technology Corporation, the new smartphone is “versatile and multifunctional” and comes in white or black, according to state-sponsored news agency DPRK Today. It also looks just like an iPhone. Then again, the resemblance has its limits. The upper half of the Jindallae’s home screen is very Android-like, and that oval home button looks suspiciously like the fingerprint reader on a Samsung Galaxy. It’s almost as if North Korea’s designers stole the best ideas from Apple and Samsung’s flagship phones and presented it as a whole new thing. None of this, of course, is especially surprising. 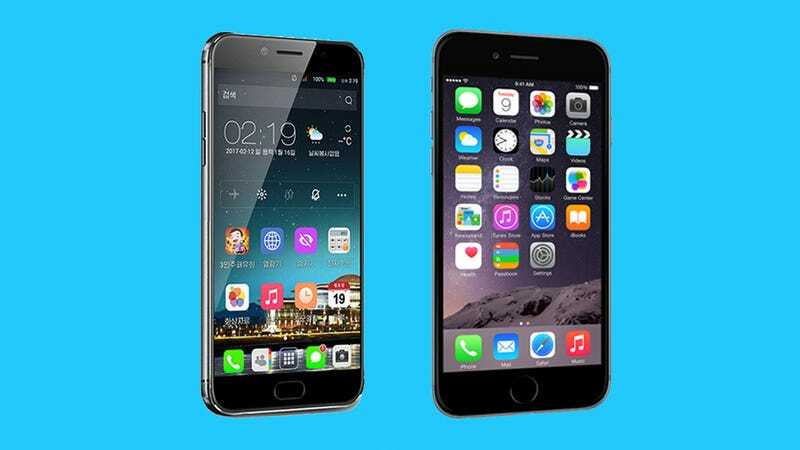 North Korean technology manufacturers have been copying Apple’s designs and ideas for years. Most recently, North Korea announced a new tablet computer called—wait for it—the IPad. We’ve also seen glimpses of desktop computers that look practically identical to the latest version of the iMac. 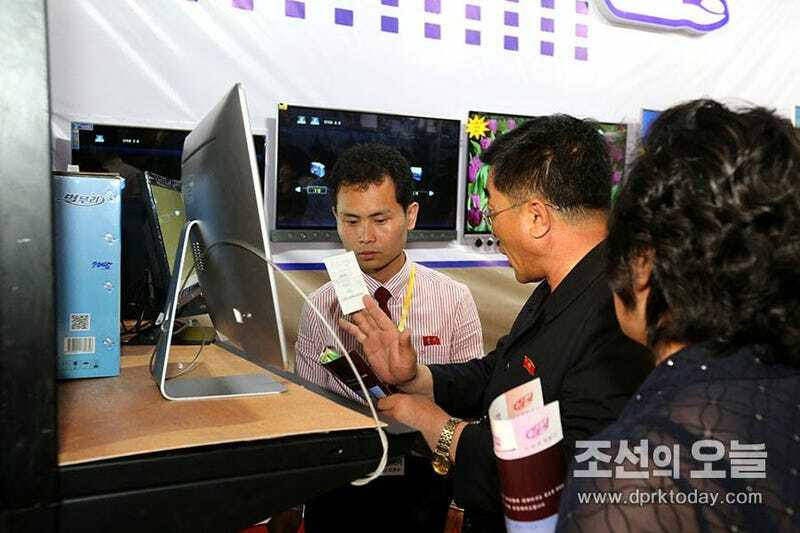 Those machines undoubtedly run North Korea’s very own operating system, Red Star 3.0, which looks pretty much exactly like Apple’s OS X. It’s hard to tell, though, since photos the iMac clones are pretty rare. Below is a photo of one recently uploaded by DPRK Today.